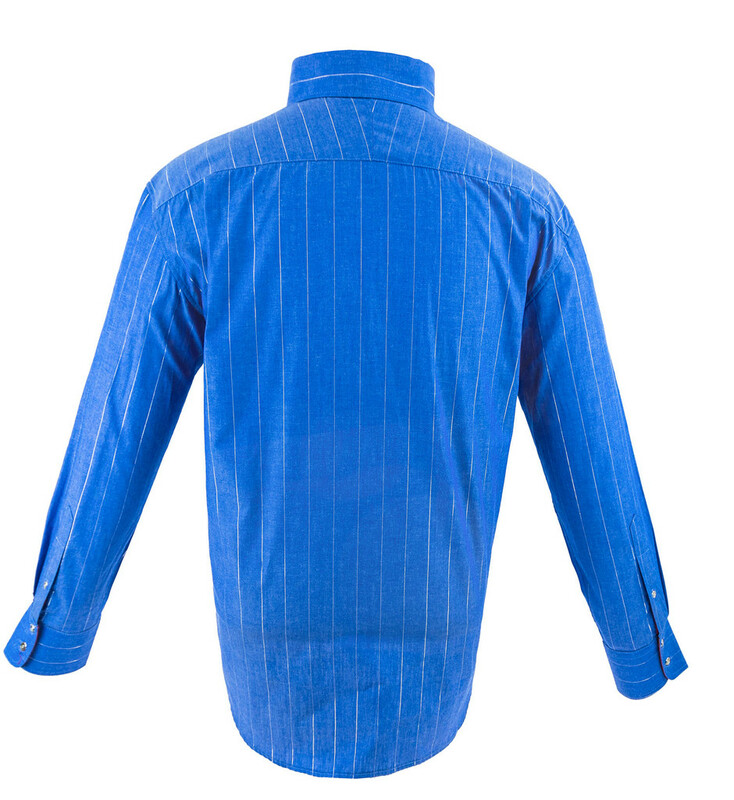 This unique cigar shirt takes a traditional blue shirt to new heights with razor thin metallic pinstripes and custom made metallic buttons. 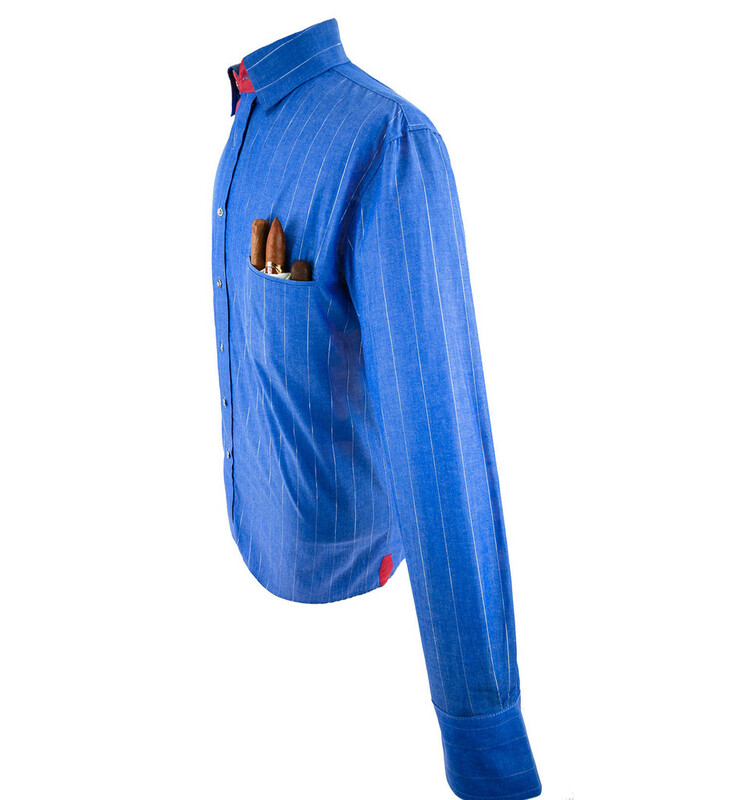 Only for the confident male looking to make a statement, this unique cigar shirt takes a traditional blue shirt to new heights with razor thin metallic pinstripes and custom made metallic buttons. 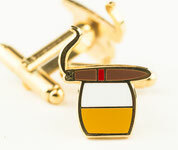 Accented with a Begonia red contrasting fabric prepare to get noticed by the fashion elite. 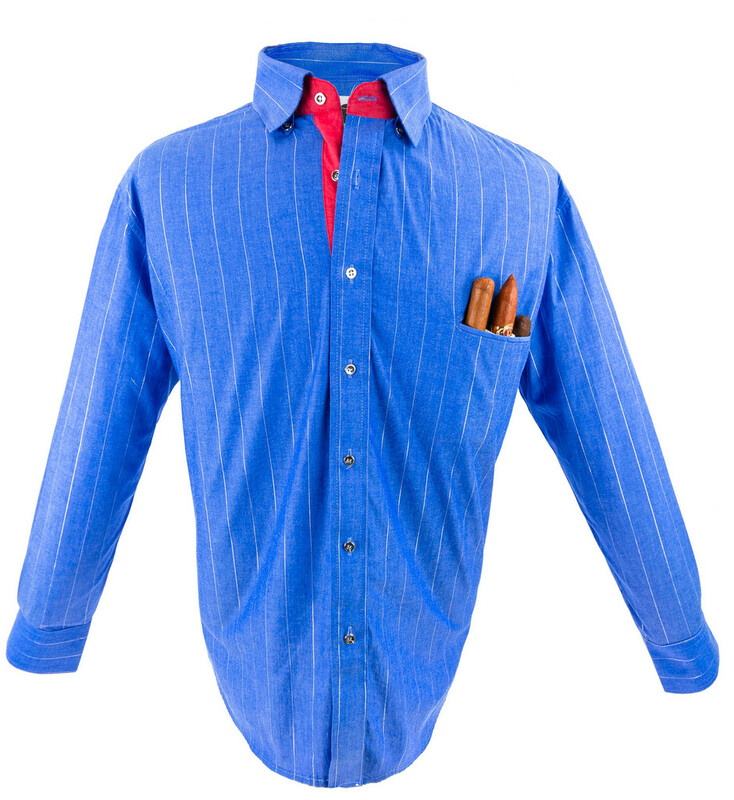 While versatile, the Blue Sky Silver Lining cigar shirt has an innate casual vibe but the shirt must take center stage (its a bully that does not like to share attention). Wear it untucked with slim fitting blue jeans and loafers.